The free Coolutils Photo Viewer is the best way to transfer photos from a camera to the hard drive. Preview images, delete bad shots, organize the good ones, give new descriptive names - all done in few clicks! It`s free, no adware,no paid upgrades! An easy way to organize and share your digital photos. Annotate and categorize your photos. Locate any photo in seconds. 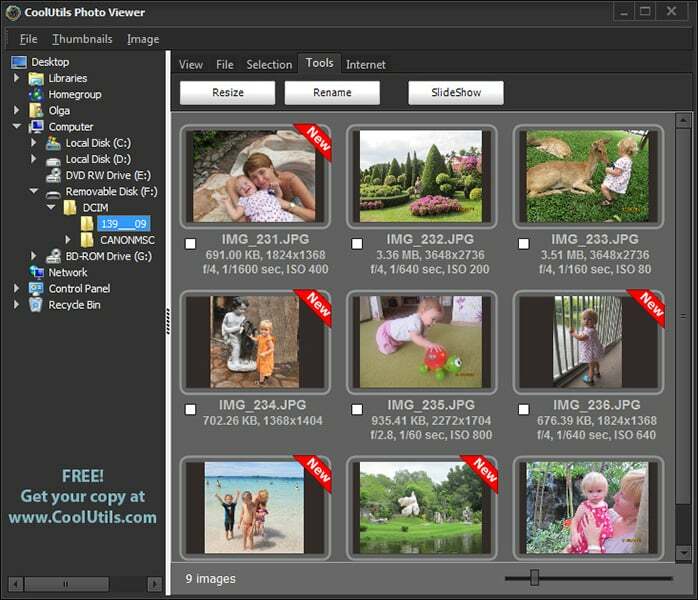 Create CDs, web-pages, and prints of selected photos. View EXIF metadata. Supports RAW formats for more than 70 cameras.